Fishing Northeast’s Casting With Kids program partnered with the Town of Plymouth to host our Spring 2018 Casting With Kids event at Lake Winfield in Plymouth on Saturday June 9, 2018. We educated over 90 youths along with 150 plus adults that were in attendance for this fabulous day on the water. The turnout was absolutely amazing and the response from the participants and adults was very encouraging, as all that were in attendance raved about this event. The smiles and excitement was all that we hoped for and more. Each child learned at five educational stations in which we teach each participant the basics of fishing (lining a reel/rod, tying a knot and hook safety, casting, fish handling and regulations). At this point the child presented their stamped card received at registration to acquire their fishing rod. They then proceeded to find a spot on the water where volunteers helped the kids set their gear up, bait their hooks, cast and we saw many fish caught throughout the event. We ended the day with a park cleanup, in which the kids chose prizes that ranged from local businesses to more fishing gear. Lunch, drinks and snacks were provided to all. Fishing Northeast would like to thank all of our volunteers, donors, local businesses, the Plymouth Park & Rec and most of all, the children and adults that participated, making this our most successful event to date. We hope to continue this venture in the near future, with high hopes of making this a yearly event with the Town of Plymouth. We also hope to expand this program in the near future. Click here for a gallery of the recent event in Plymouth. Fishing is a fun, passionate outdoor activity that Fishing Northeast believes everyone should get the chance to learn and enjoy. 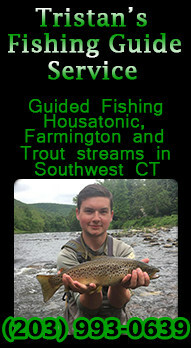 Casting with kids is an absolutely free, all inclusive event held for the kids of Connecticut. We cover all of the basics, from lining a pole, tying a hook or swivel, to baiting and casting, and if the fish cooperate, proper handling of fish. We also practice what we preach, so rules and regulations are huge as is conservation and respecting the environment so we conclude each event with a park cleanup. 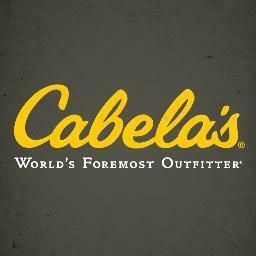 We also provide all of the gear and tackle (while supplies last) as well as food for all participants. After each child has participated and taken the attempt to learn the basics, that child is then given the gear to take home with them so that they have the means to keep with this activity. Any child that is nervous to cast with a hook, or just wants some extra practice can use our casting target game. It is a safe, effective way to learn to cast and build confidence. Casting With Kids has three State-certified (CARE) instructors that help with the organization and volunteering efforts of our events to assure children are receiving proper angling education and tutorials. Fishing Northeast would like to give a giant thank-you to the people and businesses that help make casting with kids possible! 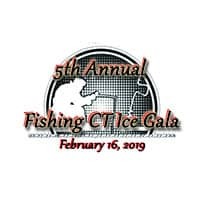 We wish to give a special shout out to all the members of Fishing Northeasts Facebook group Fishing CT who continue to donate gear to the event and to the members who show up and donate their time to help with this event! We do continue to receive donations and appreciate all the support, but we do need much more. We have reached out to many rod, reel and tackle manufacturers to help as well as many local businesses. If you would like to help with donations or volunteering at an upcoming event, please email the Fishing Northeast staff at info@fishingnortheast.net. Below are the business sponsors and donors that have come together to help make our next event a successful one. We here at FNE thank each and every business, donor and volunteer for your support.